This Nike Air Presto was the third pair designed by Virgil Abloh for his Off-White label. After two black-based pairs, this one comes in a white, black and cone colorway. Known as the “Polar Opposites White” edition, they are essentially a white-based version of the “Polar Opposites Black” edition. Sporting an all-white deconstructed upper with small hits of black, red and orange found on the branding throughout. Their release date was August 3rd, 2018, where they were available at select Nike Sportswear retailers worldwide. Priced at, $140 they came exclusively in men’s sizes, from 4-14 (no half sizes). If you’re a fan of the Nike Air Presto and love Virgil Abloh’s Off-White take on them, these are perfect for you. Especially if all-white kicks are your thing. 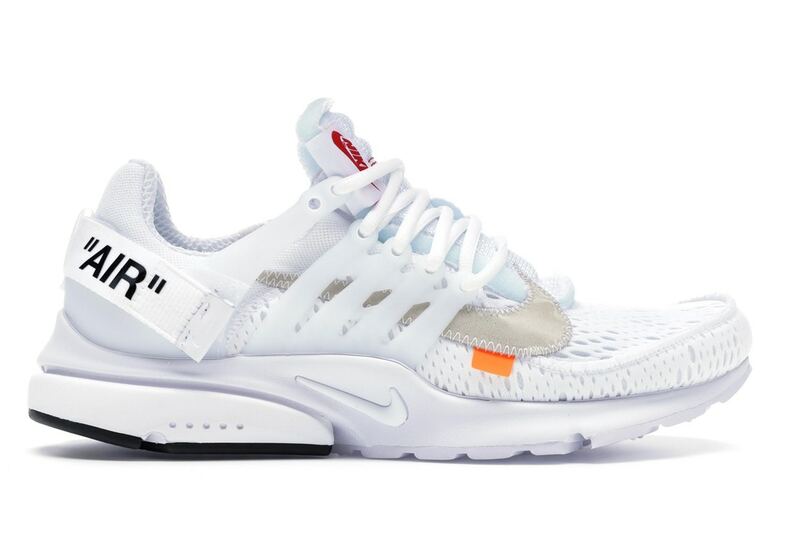 Those looking for a pair can buy this Off White Nike Air Presto White online today by placing a Bid on StockX. Got a pair of these Nike’s to sell? List them up on the marketplace now.